You probably haven’t missed the great European campaign by Converse with the slogan: Shoes Keep it Clean, Sneakers Get Dirty. 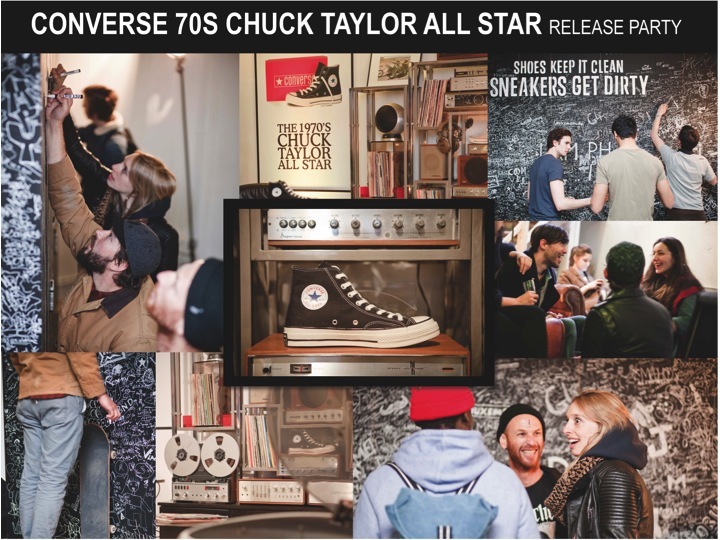 In addition Converse opened a Pop-up store in Paris. The store has a real easy going atmosphere. You can easy spent a few hours chilling. Bring your old Chuck Taylor All Stars to get them customized with a personal touch. Open till 20th of April. Note: make it to the closing party, organized by Ofive.